I’m never one to push for the downloading of numerous apps as it clouds the workflow. The core skills of handling and organising information, images and creative output from each student as the device gets passed around should be a first concern. Students like to have their own space to save things. The passwords can be kept by the teacher and students needn’t worry about the account itself. The material saved can also be managed from the teacher’s laptop for both accounts. The camera, iMovie & Explain Everything apps can all be permanently logged-in to the Youtube account. This is important as video is the primary storage killer. Video is the new pen and once an iPad gets into the classroom the opportunities for recording evidence, performances and reflection mean the organisation of video becomes important. These videos can be stored as privately or publicly as needed. Every student can record their own work, including material from other apps within their own Evernote Notebook, all held and synced to the same account. Evernote allows students to record web content, writing, images and record audio notes and arrange all that into folders of topics etc. 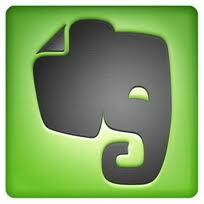 Penultimate is Evernote’s Sketchbook app. It allows students to add photos and screenshots freely onto unlimited pages and freehand draw on them. It also obviously allows for freehand drawing and has a choice of 4 paper types. These sketchbooks auto sync to the Evernote account. This means it’s also viewable by the teacher from their laptop. This setup creates a cloud classroom for the teacher to monitor 24/7 and also caters for all the basic tasks that students might already be doing. Below is my usual style summary of the apps and the roles they play in the classroom. It certainly acts as a solid starting point for collating and organising a class’s output. 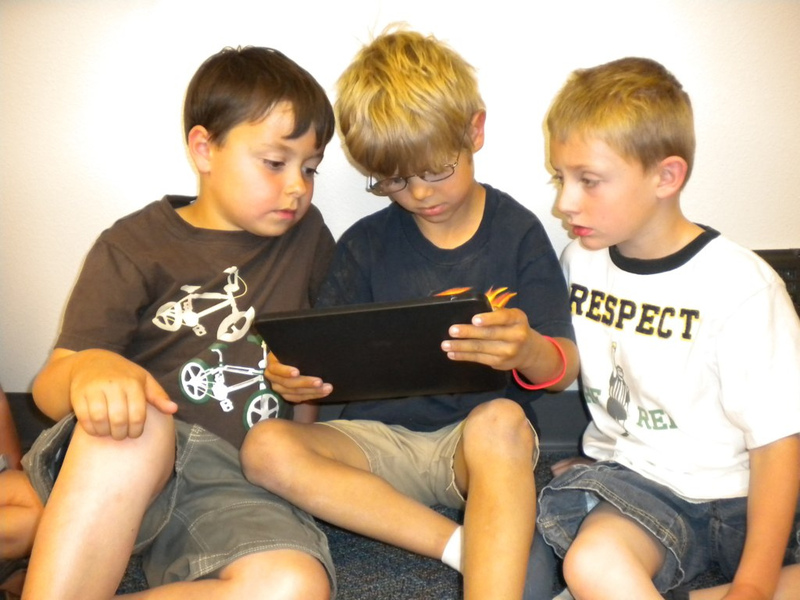 It also gives each student a place of their own on the shared device.